The Freestore Foodbank truly appreciates the generosity of the community. We take every dollar donated seriously. 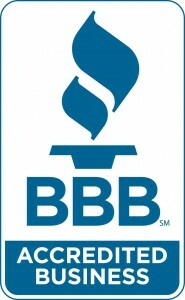 The Freestore Foodbank has been a Better Business Bureau Accredited Charity since 2005. The BBB has determined that in addition to meeting BBB’s 20 Standards for Charity Accountability, the Freestore Foodbank adheres to the BBB Code of Business Practices. 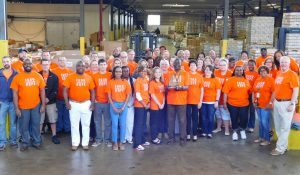 Charity Navigator, America’s largest and most respected independent evaluator of charities for financial stability, accountability and transparency, has rated the Freestore Foodbank as a 4-star charity. 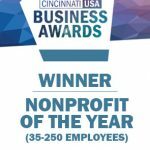 We were honored to be recognized as Nonprofit of the year (35 to 250 employees) at the 2016 Cincinnati USA Business Awards. 94% of donations, including both in-kind and monetary, go directly to programs and services. 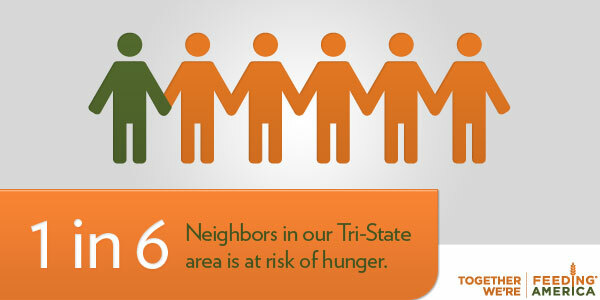 One in six neighbors in the Tri-State area is at risk of hunger. More than 80,000 are kids. With every dollar donated, the Freestore Foodbank is able to provide three meals. As a non-profit, the Freestore Foodbank prides itself in being open and transparent about where our donors’ dollars are going. It is important for us to let the community know how their investments are being used at the Freestore Foodbank. You can find more detailed information about our finances by browsing through the downloadable documents below. “My goal is to ensure the Freestore Foodbank is sustainable and that we can be around for as long as the community needs our services,” says Weidner. “I love talking about our company so feel free to give me a call should you have any questions.” For additional information about the Freestore Foodbank’s finances, please email Tim Weidner or call (513) 482-7530.